a chainsaw, a load of falling wedges, an axe. in a sea of green for three hundred legendary years. in its path. His court date has come and gone. were salvaged like pieces of the true cross. on the reception desk of the Golden Spruce Hotel. that leans one way will fall another. And what can be counted can be quantified. to clearcut the great pineries of the north. could fell a tree in less than half the time it took for one. the words for tree and house are the same? That ancestral spirits are said to inhabit trees? Some believe that humans sprung from oaks. But the oak doesn’t question the company it keeps. And the statement it makes does no harm. you are necessarily full of get the best of you. Elizabeth Diebold is a poet and woodworking artist currently residing in Amherst, MA. 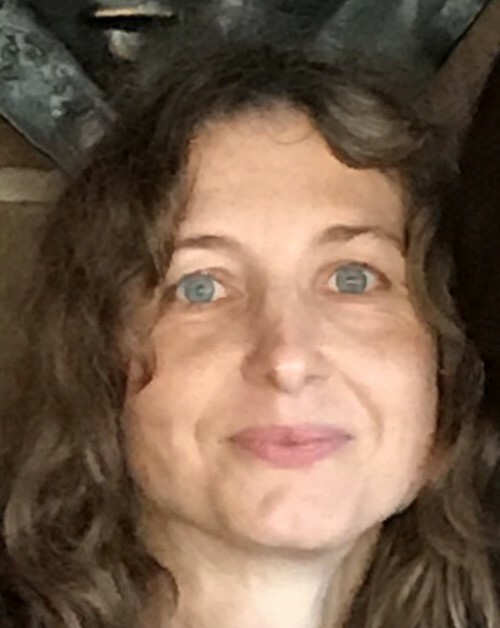 Her poetry has appeared (under former surname Levitski) in the Cimarron Review, Prairie Schooner, Southern Poetry Review, as well as previously in Cold Mountain Review, and others. She also has new work in or forthcoming in the North American Review and Third Coast.